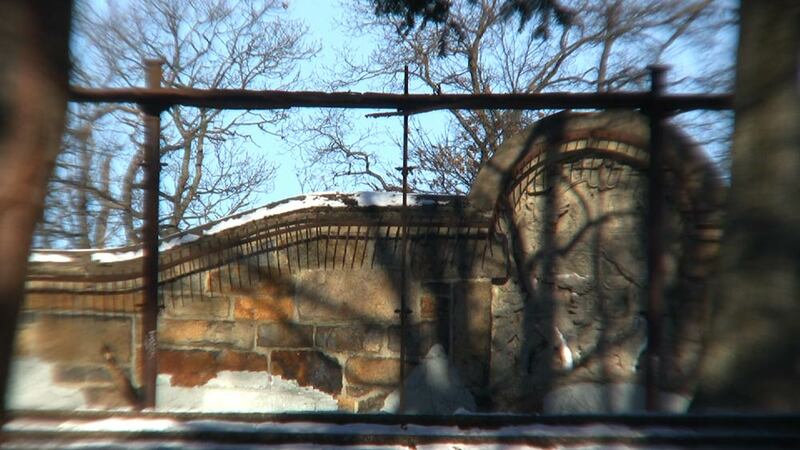 A winter view of the Bear Cages. 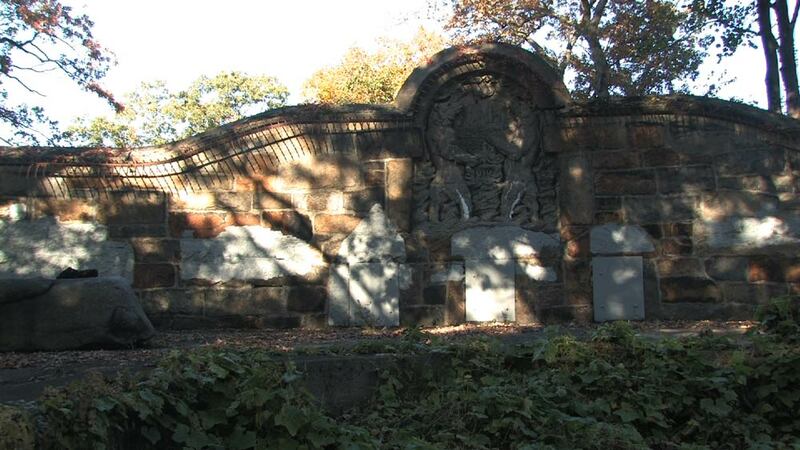 Of all the ruins in Franklin Park, none are more striking than the Bear Cages in Long Crouch Woods. These stone and iron structures show how amazing the original park features were, and how much things have changed in the intervening years. 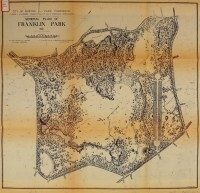 The Revised General Plan of Franklin Park. Long Crouch Woods is in the upper-right corner of the map. Long Crouch Woods is along the northern edge of the park, facing Seaver Street. 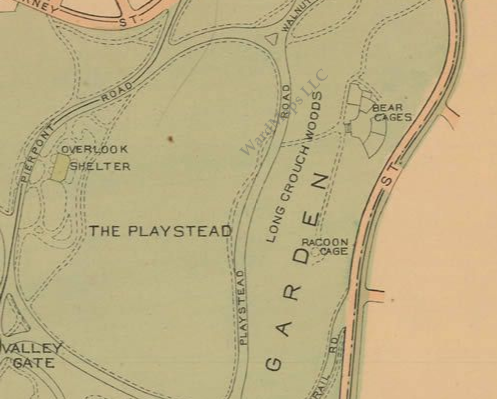 These woods mark the edge of the Playstead section of the park, where White Stadium now sits. 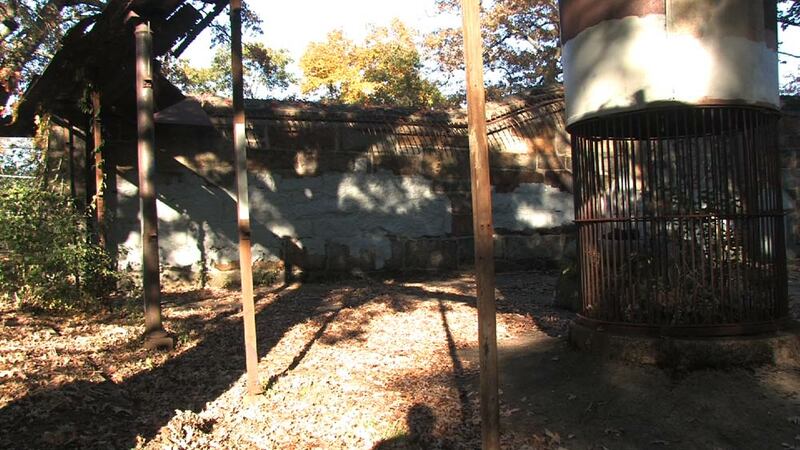 While crumbling and rusty, the Bear Cages and nearby Raccoon Cage are nearly-intact remnants of the old zoological gardens. A detailed map of Long Crouch Woods. I’ve visited the cages a number of times in the past few years, and I’m always struck by their beauty and their danger. Raw rusting spikes, once keeping the bears inside, now hang menacingly overhead. The little concrete ponds where the animals once played are now filled with trash and weeds, the stone carvings are covered with graffiti. There is a sense of looming tragedy, of leftover gloom, and of a past glory trying very hard to not be forgotten. The cages are best found by taking a short path into the woods from the east side of the stadium. A wide stone staircase rises to a cleared area with two of the cages. 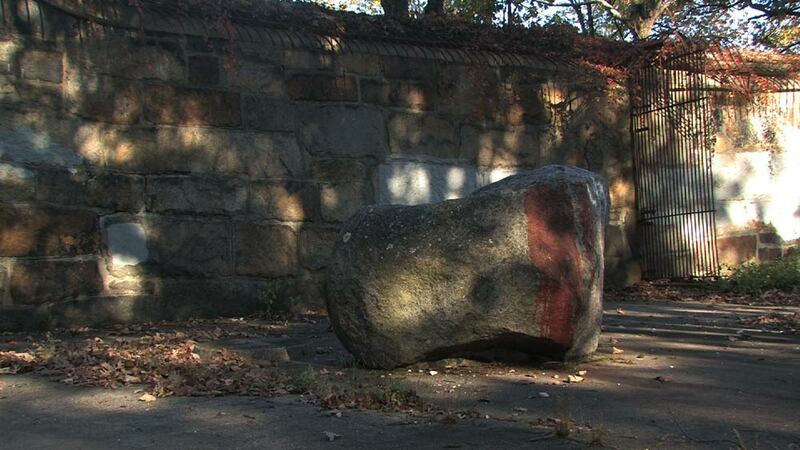 The largest of these is open, portions of the old iron bars in place, others toppled to the ground. 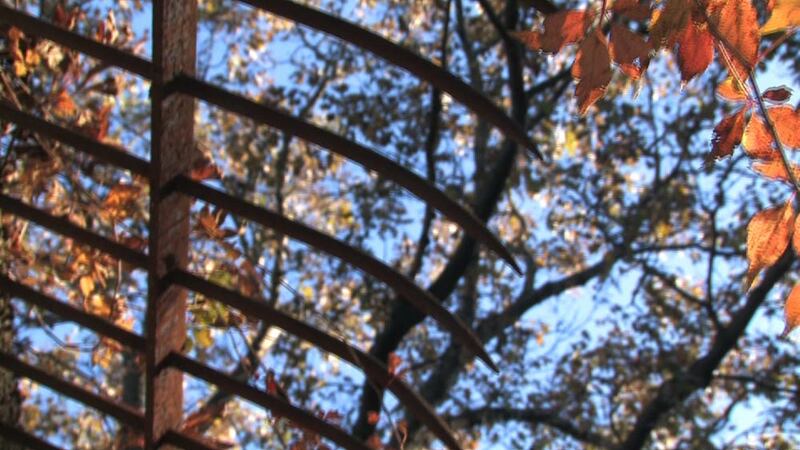 Walking under the rusting metal roofing is intimidating, and once inside the cage the iron spikes loom frighteningly close. 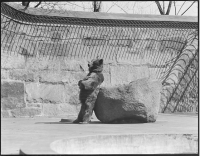 This large cage has a stone carving of bears with the Boston horizon behind them — the same skyline view visible to the north of the park — except it is barely recognizable now. Carved in 1912, it pre-dates most of the skyscrapers that define Boston today. 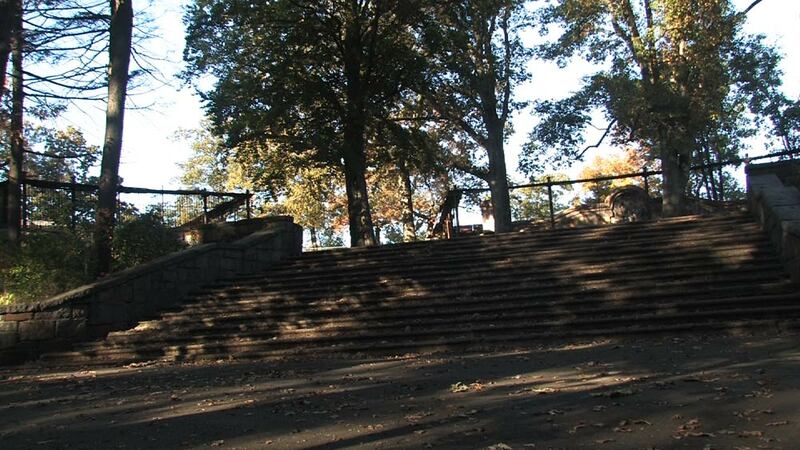 The stone steps up to the Bear Cages. Contemporary view from the same location. 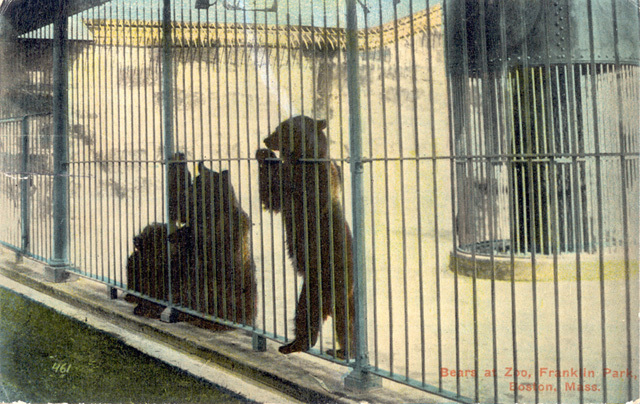 A old postcard view of the Bear Cages. Nearby is a smaller cage, also open, that connects to a lower sloping cage that once housed a water feature. The lower cage is overgrown in summer and ice-covered in winter. In my explorations of the park, I often find myself at these Bear Cages sitting on the stone benches, thinking about what they mean. There seems to be a reason that they are still there, but I can’t quite put my finger on it. Many of the park structures were removed when they became defunct: the Overlook and Ellicott House were razed after each burned; the Refectory was torn down in the ’70s; the Lover’s Leap was filled after an unfortunate accident. Yet, the Bear and Raccoon Cages are still here. 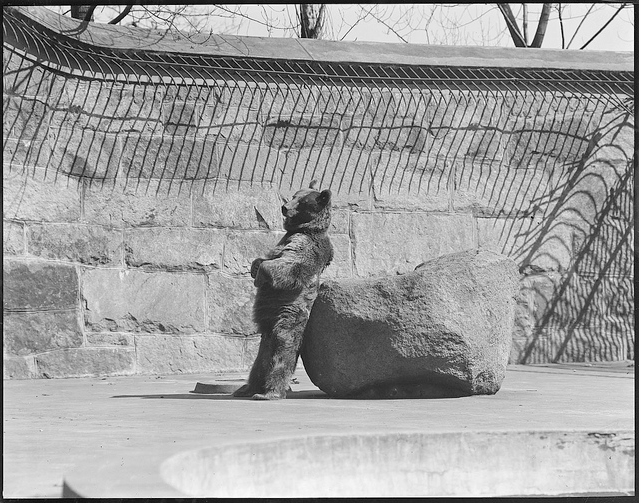 A vintage photo of a bear at play. Perhaps it’s wishful thinking on my part, but I like to imagine that the current park managers leave them as a memorial to the past glory of the park. More likely, it is just too difficult to remove them and the park budget is better spent on the areas where people actually congregate and play. I don’t know. 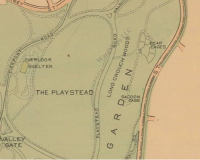 But as remnants of the past, of the 19th century vision of a Country Park that Olmsted set forth, they tell a complicated story. These Bear Cages are incredibly cruel. There is no other word for it. Trying to imagine animals caged in these spaces, I feel horrified. This is not an indictment of all zoos or animals kept for public viewing; it is only an observation that the early zoo did not keep animals in spaces that we would now consider appropriate. 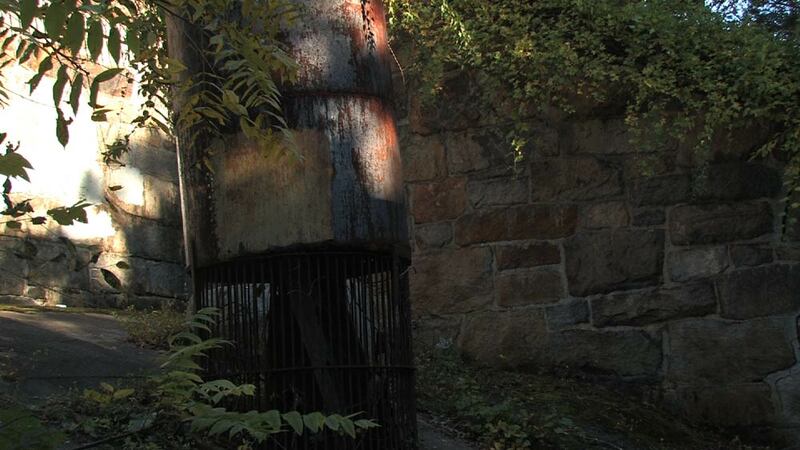 This rusting cage once kept bears from climbing the trees. The stone carving and water feature in 2012. 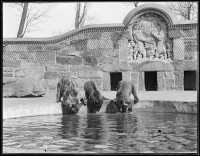 A vintage photo of bears in front of the stone carving. For me, even more than the strange cruelty implied by the iron spikes and small enclosures, is the sense of absolute and complete unconcern for them now. They are dangerous, yet no parent is petitioning to have them removed. They are beautiful in their authentic display of the past, but no one is preserving them. They are useless and defunct, but no one is tearing them down. Instead they just sit. It’s possible that I’m the only one who is thinking about them at all. I’ve seen park workers having lunch near them, so I know they are not forgotten, but neither are they cared for… or cared about. I guess that’s why I keep going back to sit with my lunch and stare at rusting metal — because I care about them. Even more than that, I appreciate their ignored state, their forlorn rusting uselessness… because they feel genuine to me in that state. Restored they would become new again, separated from their past. Destroyed, they would be lost. 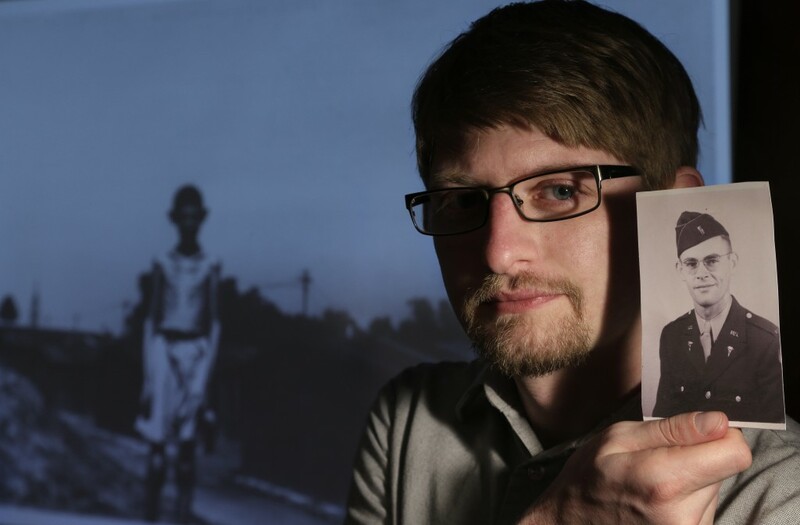 Ignored they can exist, tell their story and keep their tiny portion of history alive. That, to me, is why I will continue to eat my lunch under their deadly, beautiful spikes. An autumn view from my picnic spot. Postcard image from the Dorchester Historical Society website. The other vintage images via the Boston Public Library’s Flickr page. Contemporary images by Matthew Nash. Previous meditations on Franklin Park can be found here. Ohrdruf Extended: What is there today?